My father’s mother -- Harvilas – was a widow for 44 years before she died. Devi – my mother’s mother – had married a man old enough to be her father. It was his second marriage. Devi also lived as a widow for nearly four decades. My grandmother’s sister Jaisukh was a widow, too. I don’t know who named her Jaisukh. It means Hail (Jai) Happiness (Sukh)! The name turned out to be inappropriate because Jaisukh saw no happiness in her life. Yet, she always made all of us feel that she was contended and happy. She smiled easily. Well into her eighties, she would giggle just as an eight-year-old would, but her eyes were sunken and sad. She kept herself busy, always busy, almost deliberately so, perhaps afraid of being alone. Her life was lost in lives of her sisters’ families, their children and their grandchildren. But her only family was her mother and when she died, Jaisukh lost her will to live. She died soon thereafter. Unlike her sister and other widows in my family who had seen married life, albeit briefly, Jaisukh did not know married life at all. She was married when she was nine. She became a widow before she reached puberty. She was a virgin widow. And she lived as a widow for more than 70 years. When Jaisukh died, we did not shed tears; we were happy her misery was finally over. Earlier this year, I wrote sample columns for a South Asian weekly and sent it to its editor following a brief chat. The weekly is part of a media conglomerate. I was told the final decision would be made by another editor. After waiting for a couple of months, I realize that the weekly is not interested in using them. Well, for whatever they're worth, I'm reproducing them here. I don’t own a car, never have, never will. I live in Toronto and work in Brampton. I change three buses to go to work and three buses to return home. It takes me about an hour in the morning, and about hour-and-twenty-minutes in the evening. The highlight of my commute is the bus ride on the MiWay route 42, which I board at Airport Road. Nearly all commuters in the morning (around 7:15 am) are South Asians, and nearly all of them are busy chatting on their phone with their dear ones “back home”. One can hear different South Asian languages, and often multiple dialect of a language. News and information, joys and sorrows and a bit of gossip, are shared. Daughters complain about their in-laws to their mothers on the phone, international students lie or boast to their parents, depending upon their latest results. Remittance details are given or taken down, and on occasions, marriage proposals are discussed, with photos shared on WhatsApp. The best (or the worst, if you’re not a South Asian) part of the commute on the bus is the pungent smell of South Asian curry that most commuters carry in their lunch bags. South Asian curry is an acquired taste. To most non-South Asians, it’s only hot and spicy. It has a distinct odour that often makes stomachs churn involuntarily and violently. In winters, when the temperature is deep in the minuses, and the temperature inside the bus is what you’d find in South Asian tropics (touching +30° C), the bus smells like a South Asian kitchen. I’ve seen non-South Asians gag as they enter the bus and breathe deeply as they alight, having held their breath for long. So, if you’re feeling homesick and feel like going “back home”, just take a trip in MiWay bus’s route 42. Here’s a quick quiz: How to spot a South Asian male in winter? He’s that guy who’s wearing a minimum of six layers above the waist and four layers below, his head is wrapped around in two thick woolen caps, a muffler, earmuffs, he also has a woolen neck warmer, and he’s wearing fake Ray Bans. He’s also wearing two pairs of gloves on each hand, and two pairs of socks on each foot, he’s inserted toe warmers in the boots. This guy lives and works in the GTA, where the winters are generally not as severe as they are in other parts of Canada. He wears this external shield for almost six months in a year. In the morning, before leaving for work, he’ll check CP24 not for news, but for the temperature, and then take immense pride that “it’s minus 1 today, but it feels like minus 7.” He instructs his wife to also bundle up like him, but she is a South Asian wife, she is more sensible and better acclimatized, and she’s no longer in South Asia, so she totally ignores her husband. At the workplace, he needs 15 minutes each in morning and evening to take off and put on the multiple layers of warm clothes. Throughout the day, he continues to wear an ugly sweater that his mother knitted for him and sent it to him through his neighbour’s aunt’s cousin’s daughter-in-law who is from the same town, and who was coming to Brampton. There’s a lot of talk these days about the need to separate the idea of free speech from hate speech. Admittedly, the line between the two is often ill-defined and obscure, and while all attempts at hate speech need to be prevented, it is equally important not to put any unnecessary restraints on free speech, especially on any form of artistic expression. What should be extremely worrisome in this context is the authority that the government automatically assumes in arbitrating on matters of art and taste - matters that are always subjective. Considering the extremely subjective nature of any artistic endeavour, it is likely, especially in these divisive days, where nearly everything is segregated into ‘us’ and ‘them’, that an expression of art – whether it is a painting or a film or a documentary – may likely offend some sensibilities, even when it appeals to others. India has a long and sordid history of ignorant officials interfering in artistic endeavours, especially in the public exhibition of films. In spheres where such control is not possible by the government machinery, ideological vigilantism is encouraged to impose unofficial censorship on art by acts of vandalism and violence. India has an unsavory history of restricting freedom of expression. 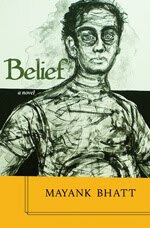 From banning of books that narrate blasphemous verses to withholding certification to exhibit films that are perceived to be controversial, and from tearing down paintings that don’t adhere to a specific ideologically-driven belief system, to driving away globally-renowned artists from their homeland to die in an alien land, Indians are intolerant of a contrarian view. India’s thin-skinned sensitivity to anything that differs from its self-image as the world’s largest democracy and a rapidly-growing economy is legendary and growing exponentially under a regime that views everything from a narrowly defined cultural nationalism. Yes, it is stereotypical to portray indigenous people as criminals, but to me the solution to the ethical dilemma that the tussle between free and hate speech is simple: If something bothers you, don’t see it or read it. There are many who may not be offended by it. And there are many who may be offended by what you find artistically, ideologically or factually inoffensive. For governments, the simple path to follow in all such matters should be not to fund anything that may be perceived as hate speech by any (even the minutest) section of the society. It should not be the arbiter of taste, and never assume the power to decide what the people should read and watch.